Create and maintain logbook to record Metlab activities. Plan & supervise all metallurgical preparation works and PMI. Analyze metallography and coating microstructure using optical microscopes. Prepare or review Metlab Checksheets, Test Certificates and Technical Reports accordingly. Coordinate mechanical testing, chemical analysis, and other advance material analysis works with TNB Research (TNBR) or external local laboratories. Plan, execute, monitor job assigned and ensure/monitor timely update of refurbished component. Coordinate with MSS for purchasing of material/spares during refurbishment process. Coordinate preventive & corrective maintenance for all Metlab equipment. Review and adopt new methods and procedures in tandem with advancement in technology thereby improving productivity and production costs. Encourage lean production process by increasing productivity, effectiveness and efficiency. Relevant Engineering information for RCA for Production improvement and Quality Issues. Preparation of SOW and Costing for tender/bid submission and market pricing. 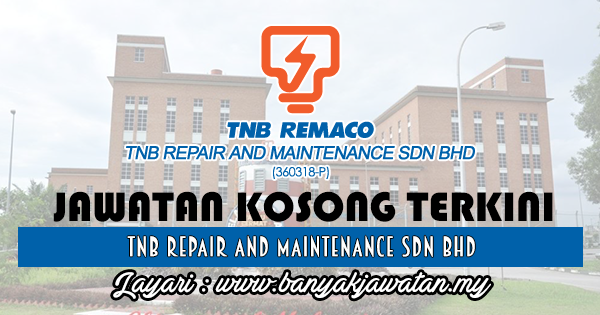 0 Response to "Jawatan Kosong di TNB Repair and Maintenance Sdn Bhd (TNB REMACO) - 7 Ogos 2018"